HTTP monitors is the best way to organize your website monitoring. The HTTP monitor settings are separated on three tabs. The first tab allows you to specify the basic parameters: website URL to download, type of the HTTP request, username, password, etc. When selected request type is POST, it's possible to specify the POST data source. 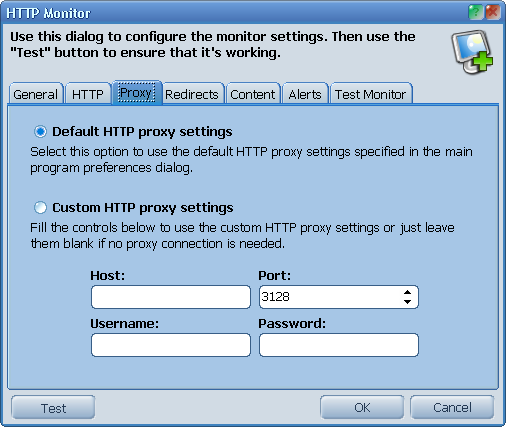 The Proxy tab allows you to specify the custom HTTP proxy settings for the selected monitor. 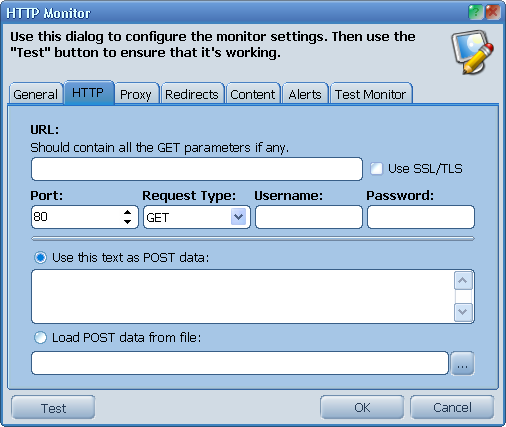 When the Default HTTP proxy settings option is selected, ProtoMon will use the default proxy settings, specified in the program's preferences dialog. On the Redirects tab you can point out, how should ProtoMon manage the HTTP redirects (HTTP errors 301 and 302). 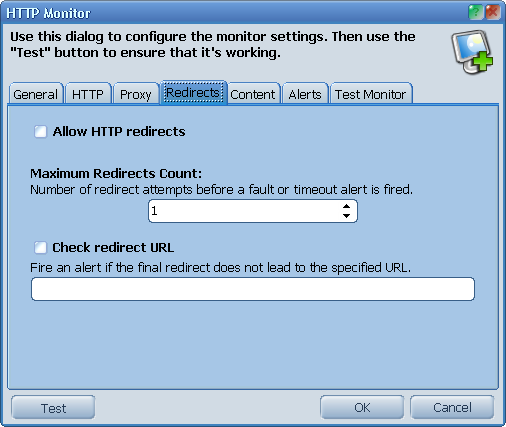 The program can fire an alert if the final redirect doesn't navigate to the chosen URL.